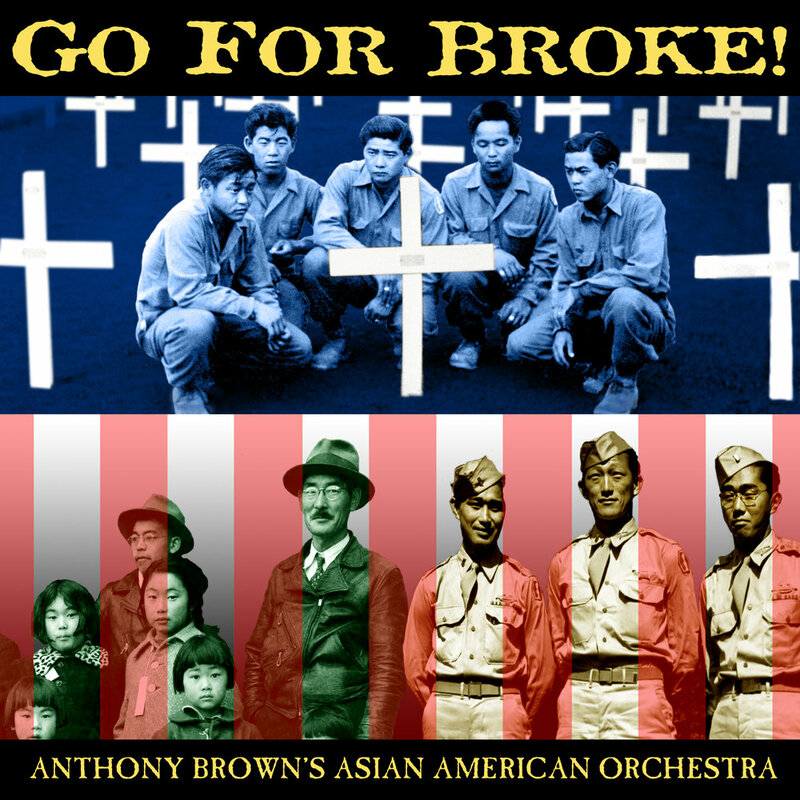 The latest CD by the Asian American Orchestra is dedicated to the courageous Nisei ("nee-say," 2nd generation Japanese in American) men and women who served and died for their country in World War II while their families were imprisoned. In addition to the over 30,000 men who served in the US Armed Forces, more than 300 Japanese American women served in the Women's Army Corps (WAC) during the war and in the immediate postwar period. 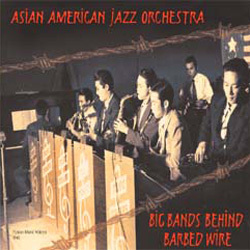 Recorded live at Yoshi's Jazz Club in Oakland, CA, this CD by the Asian American Orchestra showcases a 16-piece ensemble including Dana Pandey on tabla and Steve Oda on sarod, and African percussion performed by Kenneth Nash in new arrangements of classic Coltrane compositions including "Living Space," "Olé," "Liberia," "Dahomey Dance," and the extended works, "India" and "Africa." 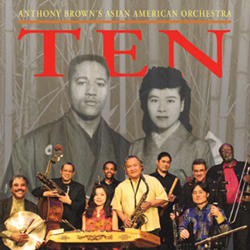 Celebrating the Asian American Orchestra's first decade of music making, Ten features the musical breadth of the Orchestra's repertoire, from original works to reinterpretations of classics by Duke Ellington, Billy Strayhorn, Thelonious Monk, George Gershwin and Charles Mingus. Also included is newly recorded material from Brown's original theatrical score for ACT/Philip Gotanda's play "After the War." Completing Brown's trilogy of homages to American composers, Rhapsodies reinterprets Gershwin's "Rhapsody in Blue" for the 21st century with electric guitar, Chinese hammered dulcimers and steel drums in place of piano. The recording also includes Charles Mingus' "Self Portrait in Three Colors" and Duke Ellington's "Come Sunday" featuring David Murray, as well as several Brown original compositions. 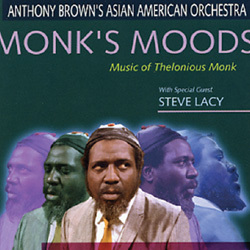 Thelonious Monk inspired Brown's second tribute to American composers, resulting in this selection of Monk standards with Chinese hammered dulcimer replacing the piano. Renowned Monk interpreter Steve Lacy joined the Orchestra on the recording co-produced with Orrin Keepnews, which received five stars from Downbeat magazine. Brown's first homage to American composers celebrates the musical legacy of Duke Ellington and Billy Strayhorn, and blends the sounds of big band jazz with musical instruments and styles from Iran, Japan, and China. This recording earned Brown and the Orchestra a 2000 Grammy nomination for Best Large Jazz Ensemble Performance. Recorded live at the Asia Society in New York, Family features two original extended commissioned works composed by Brown and performed by his quintet 'Eclipse' with San Jose Taiko. Featured musicians playing and recording together for the first time include multi-instrumentalist Qi-Chao Liu, Marco Lienhard on shakuhachi, late pianist Glenn Horiuchi, and saxophonist Francis Wong.